Edoadro Ricci plays alto saxophone, bass clarinet, trumpet and trombone. 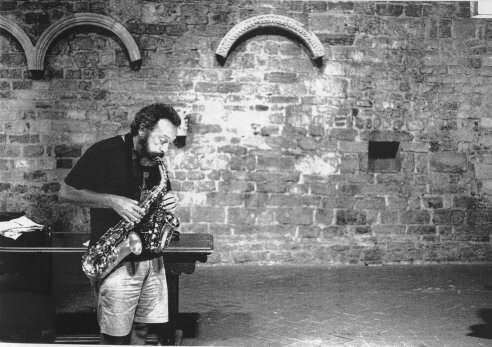 Considered by many as the father of modern Italian improvisation, He first appeared on the scene in Italy around 1968, and developed his unique voice on wind instruments working with several bands and project around Florence, Italy and Europe. He co-founded and runs the NEEM and E-NEEM orchestras which began in 1974. 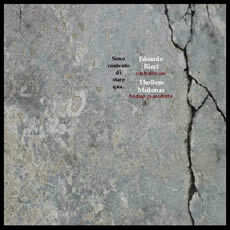 He has collaborated with Tristan Honsinger, Sean Bergin, Guido Mazzon, and Eugenio Sanna. In the early 90's he began to work with the next generation on the new creative scene in Florence. These groups include the Jealousy Party, Il Tempo Urbano, and CRAP.